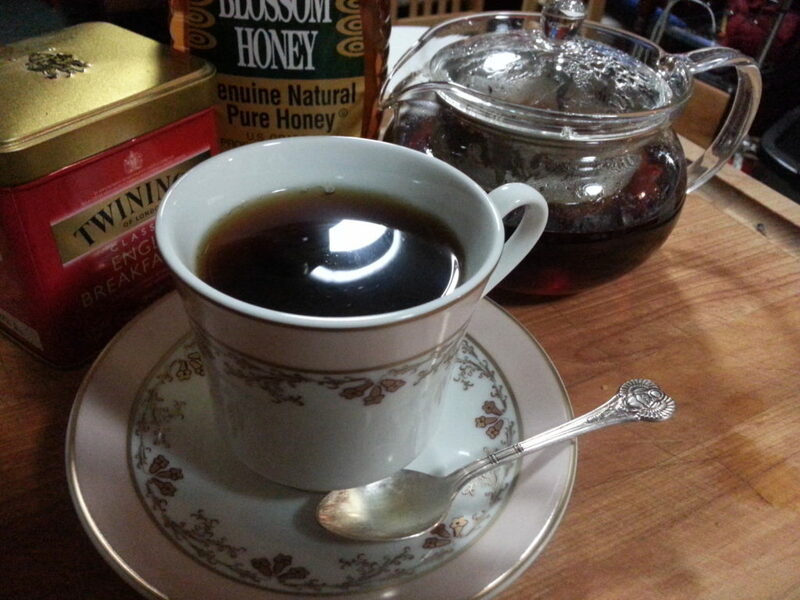 I drink a cup of tea each morning. I switch to coffee when I go to work, but at home tea is my morning drink of choice. As with beer, coffee, chocolate, champagne, and pizza, I’m no tea snob. I do enjoy a lovely cup of hand-picked green leaf Chinese tea, but I will also do well with a teabag of Lipton. Though the Anglophile in me would prefer to see PG Tips. I find that the times that I do want a really lovely cup of brew, I’m as much in it more for the ritual and the beauty as the end product. I have a lovely Hall Aladdin pot with an intact infuser, but the holes are a bit large for some of the finer loose teas that I have readily available. 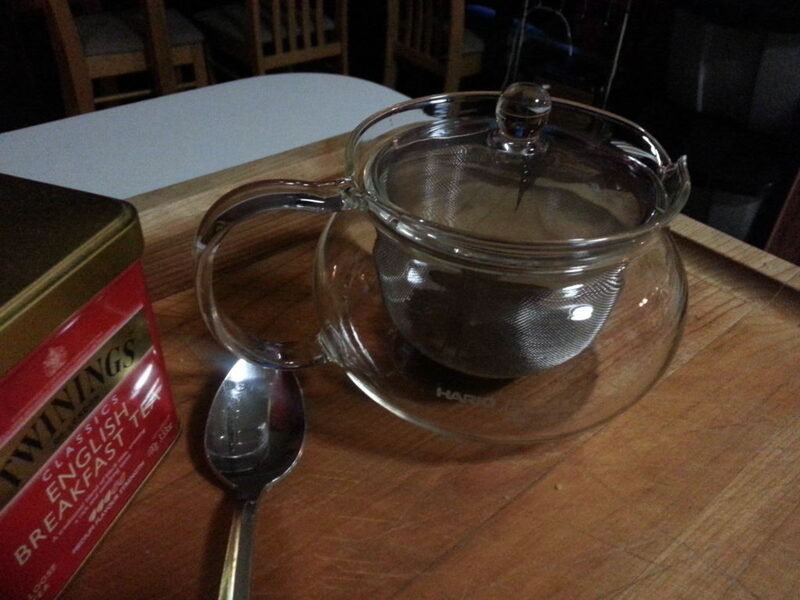 So I decided last week it was time to treat myself to a new teapot. I found a lovely little glass number with a huge mesh infuser. I made my first couple of cuppas this weekend and also initiated the beautiful James Garfield reproduction teacup that I picked up at the Jimmy Carter Museum. Isn’t it pretty? I think I mostly chose Garfield’s pattern in particular because he and his wife never had a chance to choose their own Presidential China pattern. This pattern is a reproduction of what they used in their home in Ohio. Oh! And I was also able to use my newest tiny spoon. A little silver number that I picked up at a weird antique shop in Kennesaw, GA. So it’s not just tea that makes me happy, it’s all of the pretties that go along with it! This entry was posted in paper, rock. Bookmark the permalink.